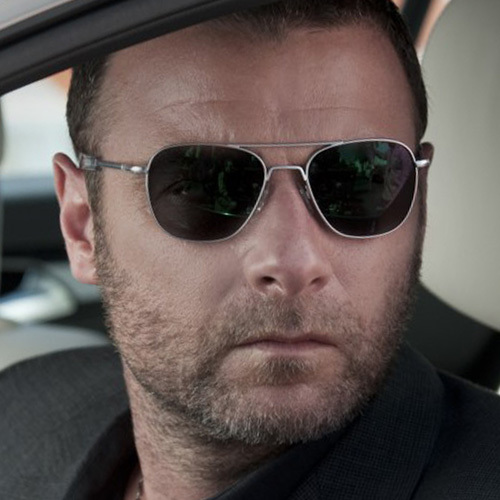 Liev Schreiber wears a pair of Randolph Engineering RE Aviator sunglasses in the 2015 tv series Ray Donovan. Schreiber wears the Aviator model with bright chrome frame. This model sunglasses can be recognized by their bayonet temples, that are designed to fit comfortably under headgear. 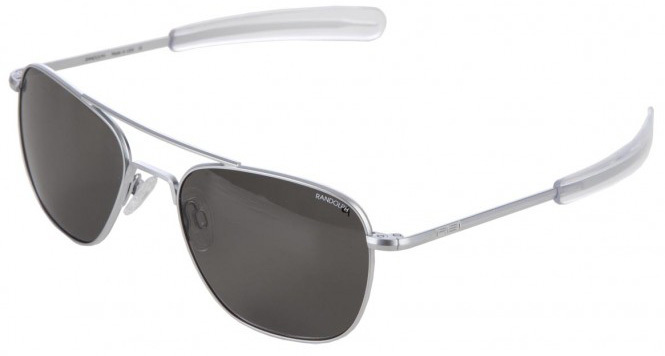 Buy RE Aviator sunglasses online on Amazon.com, Amazon.co.uk, FramesDirect, Randolph Engineering, or eBay. There are different sizes, colors and temples available, so make sure you get the pair of your preference. Randolph Engineering began as the American dream - two immigrants that started a company making machines to build the parts for other metal eyewear companies. As the others started moving overseas, Randolph started their own sunglass brand and remains the last of the metal eyewear companies made in the United States. Having had a contract supplying the standard-issue glasses to the military since 1982, Randolph is known for their exceptional quality and attention to detail. This hand assembled, US brand is often spotted in films and tv series, find more Randolph Engineering sightings here.